Plastic surgeon and hair transplant physician Samir Ibrahim Abu Goush who practices in both Poland and the Middle East. That’s interesting: Dr. Ghoush is a trainer for Cool Lipo in the Middle East and Central Europe and a pioneer of LVR (Laser Vaginal Rejuvenation) in the Middle East and Poland. Profile: Dr. Ibrahim was awarded twice by the International Society of Hair Restoration Surgery for presenting the best clinical case and poster. Aside from that he is recognized worldwide for planting facial hair, moustaches and beards. He is a distinguished Faculty member and Chairperson of many live workshops in HAIRCON and OLSW (Orlando Live Surgery Workshop). Dr. Samir has performed thousands of Aesthetic, Plastic Surgery, Reconstructive and Hair Restoration Procedures in a career spanning for more than 15 years. His patients are women and men from different countries, from all facets of society, many celebrities. 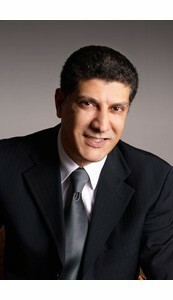 Dr. Samir trained and worked with world renowned specialists in their fields. We hadn't really thought of Poland as a hotbed for cosmetic medicine, until we met plastic surgeon and hair transplant specialist Dr. Samir Ibrahim Abu Goush. 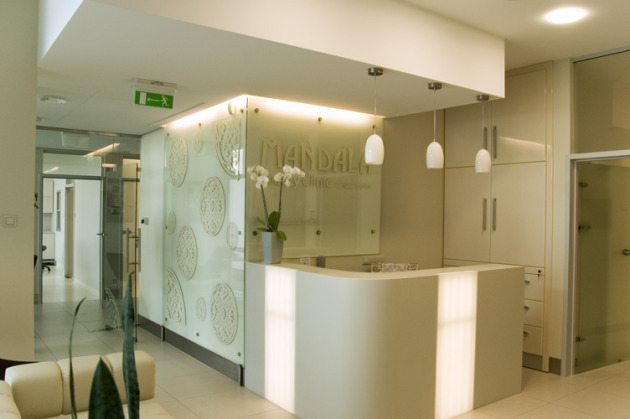 Can you tell us more about your clinic? What are the services available? How is your clinic organized? How do you manage your staff’s salary? Physicians are working with us as partners on the (win/win) basis. We have at least 25 medical spa staff. The permanent staff is paid a monthly salary while the rest are paid on a per case/per hour basis. I use a German made IPL (smart plus). I have the Vaser machine from Sound Surgical Technologies, the Cool Lipo Laser and the CTEV Endovenous Laser from Cool Touch, a Laser for LVR (laser vaginal rejuvenation) from Innogyn. I am very happy and much satisfied with these technologies. I use the Vaser all the time. First of all, we have our website that has great medical spa SEO and generates a lot of traffic. We also get featured in both print magazine and TV shows and we always look for ways to make our practice more visible through interviews or PR. However, I still believe that the most important way of spreading word about our clinic is word of mouth. Patients are the most valuable asset you will ever have. If they are happy with your services, there’s a higher probability that they will recommend you to their friends and family and we take every effort to provide both the best medical services, and the best patient care..
What treatments attract the majority of your patients? The Vaser body sculpturing remains to be the most profitable treatment in my clinic, which delivers amazing results and achieves a high patient satisfaction. Hair transplants are in demand as well. I am always looking into adding new services and innovations to my practice. I am planning to purchase a Fraxel Laser soon. Can you share your thoughts on what you have learned in the cosmetic industry? I believe that practicing this profession requires continuous learning. I never stop learning new things, new technologies and how others do the same procedures. If you are in doubt, ask your physician colleagues in the industry and share what you know! Attend workshops, seminars and webinars to keep your self updated. This interview is part of a series of interviews of physicians running medical spas, laser clinics and cosmetic surgery centers. If you'd like to be considered for an interview, just contact us.